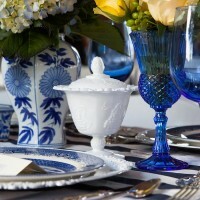 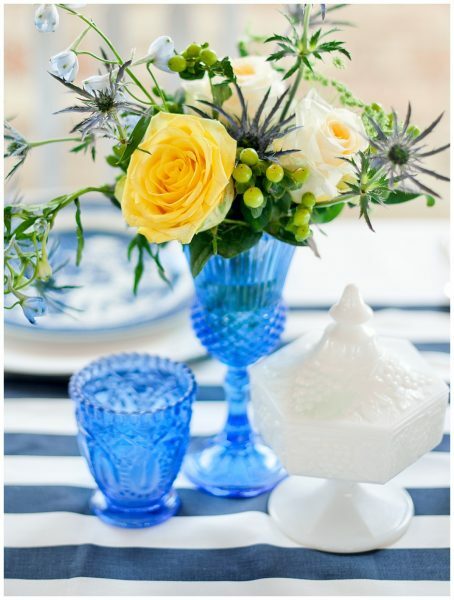 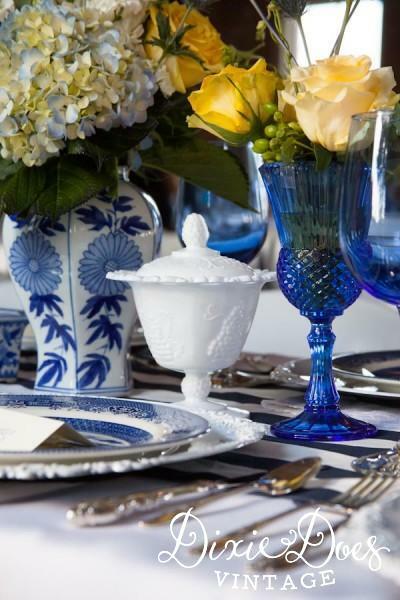 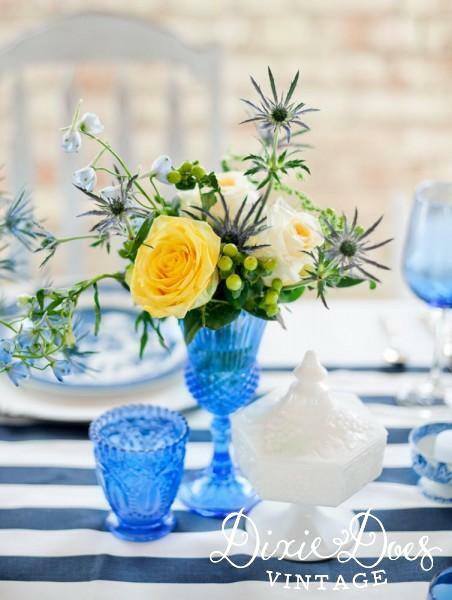 Pair with flowers to make your Wedding Tablescapes stand out! 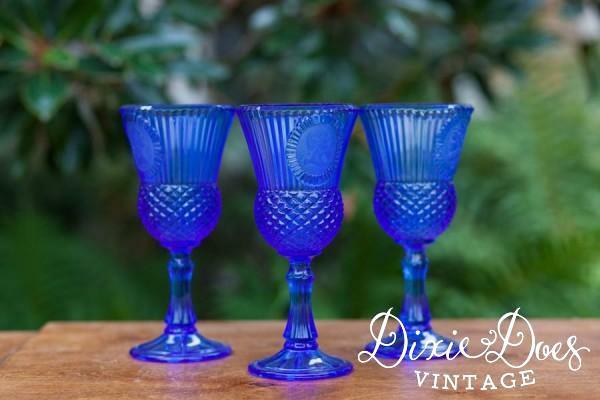 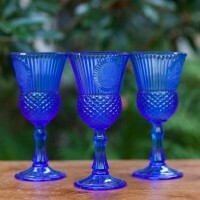 Sapphire blue glass vintage vases. 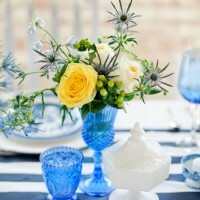 The color is amazing and fun. 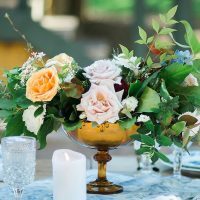 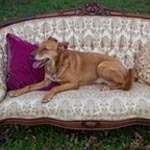 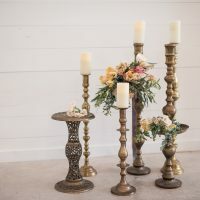 Definitely a unique and different vintage floral vase that will make your head table or reception tables stand out.